We had reported that Sidharth Malhotra was roped in as the brand ambassador of New Zealand tourism. Currently, the actor is in New Zealand having a gala time. 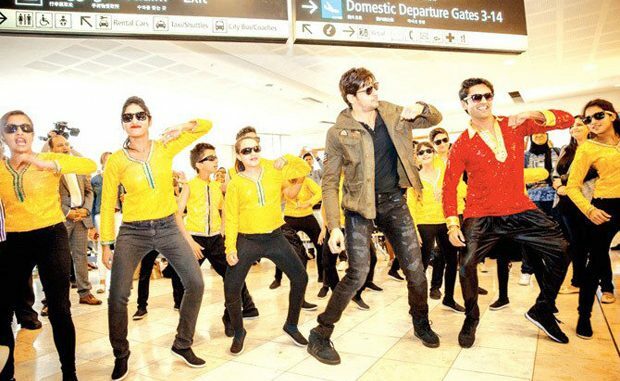 When he reached NZ, Sidharth Malhotra received a very Bollywood style welcome. At first, he bumped into New Zealand Prime Minister John Key. Later, a group of kids and adults welcomed with his hit songs ‘Kar Gayi Chull’ and ‘Kala Chashma’. Sidharth also joined them and gave the people a glimpse of his dancing skills. On the work front, Sidharth Malhotra will be next seen with Jacqueline Fernandez in an action film tentatively titled Reloaded. Finding Shangri La: The Universe Speaks Your Language: Are You Listening?